After Kuja's treachery had drug the heroic party across the world, Vivi settled down in Alexandria with the gracious invite of Garnet, who now ruled her kingdom as Queen. Since then, Vivi had become a prominent figure with the kingdom of Alexandria and had dedicated himself to furthering his magic and his abilities. When needed, Vivi has willingly helped to defend Alexandria from any threat, and he plans to continue to do so for as long as he can. 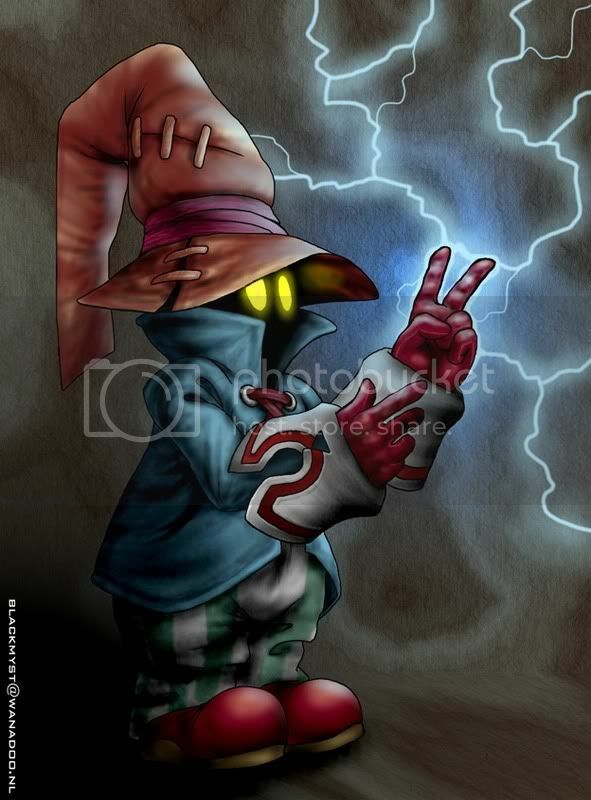 Having mastered the elements of fire, ice, and lightning, Vivi now seeks to expand his mind through the use of magic. Vivi has been able to harness the best mother nature has to offer, but deep inside, Vivi longs for more. A burning desire for more magic resides in his heart, and as Vivi grows both in age and in maturity, he has begun to seek out that which he has not yet been able to obtain. Whether his travels lead him on missions of good, importance, or urgency, the constant desire for more magic nags at Vivi's mind. 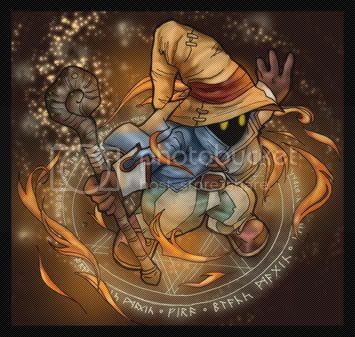 Vivi uses his Staff to invoke his magic.